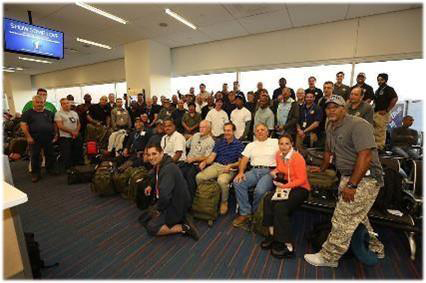 On September 29, one week after hurricane Maria hit Puerto Rico, while power was still out over most of the island and many people were still lacking food, water and shelter, the Port Authority of New York and New Jersey sent a team of 75 men and two women, comprised mostly of airport maintenance workers, to San Juan International Airport, at the request of Governor Cuomo. Their job was to help restore the infrastructure at the airport and at the port itself. 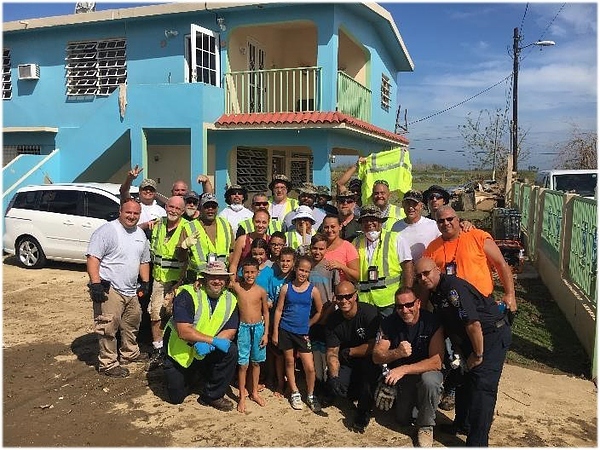 Tony Vero, who lives on Horne Tooke Road, was one of three airport managers who led this group of plumbers, electricians, roofers, air conditioner mechanics and other construction specialists, and answered a call for volunteers to help in Puerto Rico’s dire situation. When they arrived, there was no power at the airport, the temperature was 100° inside the terminal, and it was filled with crowds of people eager to leave the island on one of the only eight flights a day taking off. A very competent airport staff was overwhelmed by the situation. The toughest part for Tony was seeing the despair in some of the older people waiting hours at the airport for a flight out, after suffering a very difficult ordeal. The team's first job was to make damage assessments and to draw up a list of work priorities so that the airport and the port could quickly return to normal operation. Each day Tony and other group members would meet with members of the airport authority to discuss the day’s accomplishments and the work plans for tomorrow. In the evening, when work was done, they handed out MREs (meals ready to eat) and water to many people sleeping in the terminal, hoping for a flight out the next day. They were very grateful. The team's most immediate concern was to repair the hundreds of thousands of square feet of the roof that had been badly damaged, allowing water from the frequent rainfall to leak into the terminal. They also needed to secure the airport and port by repairing the perimeter fence. Although power in the airport was off when they arrived, it came on that night, which was a great help. By noon the next day air conditioning was restored to half of the terminal, which is as large as LaGuardia Airport’s Central Terminal B. Unfortunately, the power went out numerous times over the following two weeks for several hours at a time, because of damage to the power distribution system. Since the Port Authority group had no idea what housing conditions would be like on the island, they brought cots, blankets, water, prepared foods (MRE) and emergency equipment. Fortunately, they were able to take over the mezzanine level above the departure hall at the airport and were self-sufficient there. Their mission was resupplied almost daily, by staff at home, filling Tony’s requests for tools, equipment, construction materials, food and water. 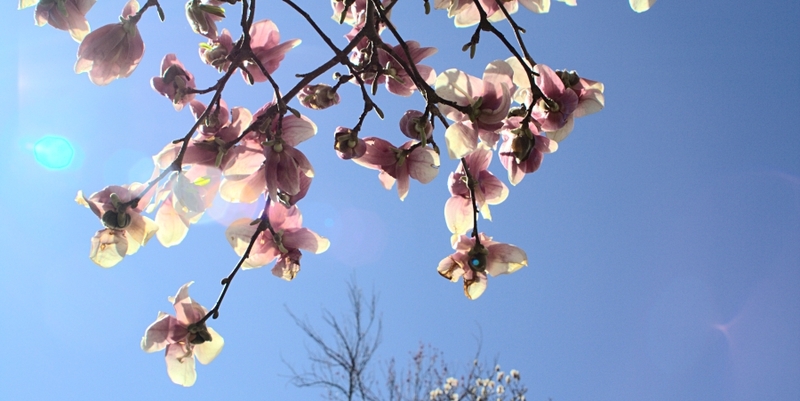 Everyone worked twelve-hour days, from six am to six pm, troubleshooting and repairing. They had no time to explore the island. In an effort to also provide some relief to communities, the Port Authority collected over 14,000 pounds of humanitarian goods at its various New York and New Jersey facilities, made arrangements for shipping and distributed them to those in need. Tony also made arrangement with San Juan airport management to help airport employees struggling with the results of the hurricane. Employees were asked to write a description of the problems they faced as a result of Maria. Eight employees were selected from the replies. Each weekend a small army of members of the Port Authority team, with police officers, would go out to the damaged home of an airport employee and almost re-make it within the day. They drove there on roads with no signs or traffic lights, often blocked by fallen trees or poles. Once there, they fixed everything they possibly could: removing kitchen cabinets, walls and doors damaged from flooding, cleaning roofs and clearing drains, removing fallen trees, checking electric systems for safe operation once the power was restored and replacing electrical wall outlets that had been submerged. Tony told me, "The gratitude expressed by the home owners was heartwarming. When I first told them they were selected, and we were coming to help, the tears flowed, and they continued once we arrived and they saw what we were doing for them." The Port Authority group left on October 13, two weeks after they had arrived, and were replaced by a second group of construction specialists, equal in size to deployment one, who spent another two weeks on the island. There was still plenty of work for them to do. Tony, who grew up in Blauvelt and has lived in Palisades for twenty-five years, has worked at LaGuardia Airport for the last thirteen years, and presently holds the title of Deputy General Manager. He is grateful to Governor Cuomo for asking the Port Authority to help, and he’s grateful to the men and women from LGA, JFK and EWR (Newark) Airports who volunteered to support this worthwhile cause. He told me, "It truly is a wonderful feeling to reflect on the accomplishment of using the skills you learn in school, on the job and in life, to help those in their darkest days.